This course is designed for all persons involved in the transportation of hazardous materials. 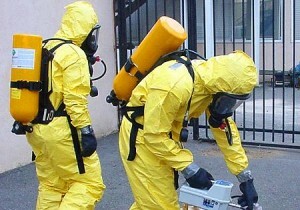 Hazmat personnel would include the following employees: hazmat handlers, shippers and receivers, packaging personnel, hazmat storage staff, transporters, etc. All companies that store, ship, package, transport, mark, label, placard, or handle hazardous materials are required to be trained under DOT (49 CFR) training requirements. Please read: You must register by 2:30pm on the Thursday before class. No exceptions, no discounts after this time.